Home » Personal Organizing » Organizing Tip for Today! We are going to stay in the garage for a minute, because we want to make space for that “little” car. 🙂 I would really suggest that we tackle our garage a little bit at a time. 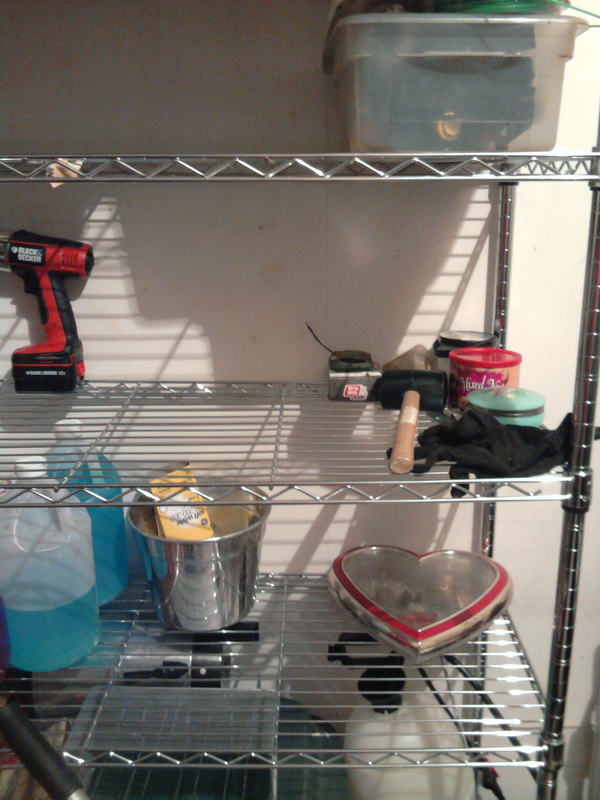 As you see in the picture below, I took a shelf and tried to make some space to start my sort. But there is an old adage that says that the more flat space you have, the more stuff you will find to put on it. Well I apparently left the flat space vacant TOO long. 🙂 Although the picture is taken from a different angle, it was taken only two days after the first pic….. whazzup with that! I probably should have told you that the person that owns half of this garage, REALLY doesn’t like neat. So, you may have to find a common ground between “neat and nightmare.” As we start to sort through the “stuff” and organize as we go, we will find more space…. “that person” may start to discover what’s is in the garage and better yet, might even consider throwing some of it away. (i.e. the oil filter for the 1999 Honda, which was TWO vehicles ago! 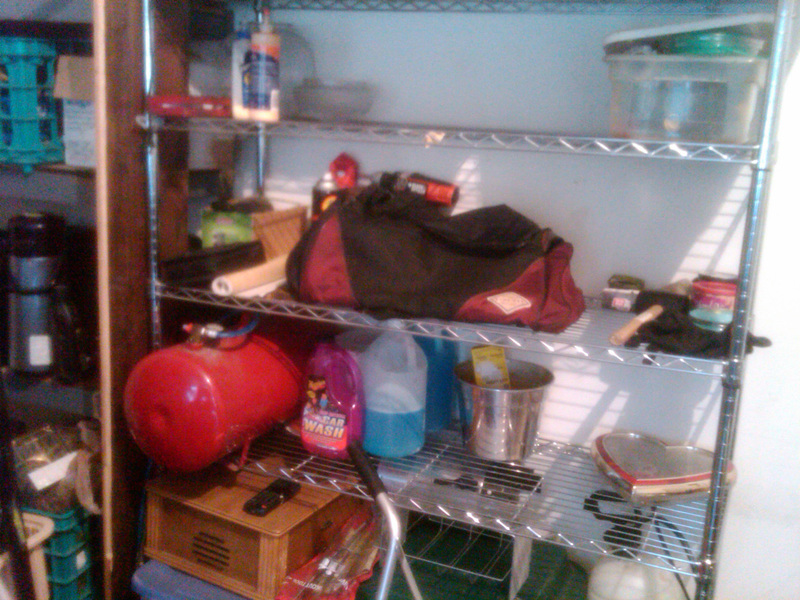 This entry was posted in Personal Organizing and tagged Garage, Home, Life, little bit at a time, old adage, Personal Organizing, Space for car. Bookmark the permalink.